We would like thank all of the Bread Loafers who were able to join us for the recent reunion and celebration of Michael Collier. It was wonderful to see participants from all of the conference programs--Writers’, Environmental, Translators’, and Sicily--connect with each other while honoring Michael’s years of service and enjoying a beautiful weekend in the Green Mountains. The weekend had a warm feeling about it and a special intimacy even with over 160 Bread Loafers gathered for the event. If you were on campus with us, thank you for joining us, and if you were not, we feel you were there in spirit as we looked back on the past 24 years and beyond. We would like to extend a special thanks to President Laurie L. Patton and Middlebury College for making this weekend possible, as well as to all of the Bread Loafers who took part in the busy schedule of events. We would also like to thank Chef Darren Zeno and his staff for planning and preparing the delicious meals that we enjoyed in the Bread Loaf Inn dining room and to share our appreciation for all the care and attention that Bread Loaf Campus Manager Justin Allen and his team brought to the preparation for this special event. Photos of the weekend are available. Click here to watch video recordings of the events. During the reunion weekend, we were pleased to officially announce the establishment of the Michael Collier Endowed Scholarships. 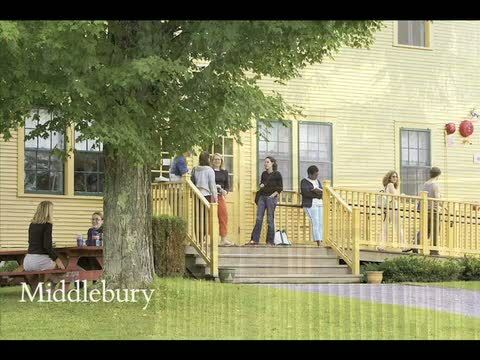 During 24 years as director of the Bread Loaf Writers’ Conferences, Michael Collier established Bread Loaf as a literary conference deeply committed to inclusivity and the celebration of diverse voices. The Collier Scholarships will support gifted, emerging writers from underserved communities and nontraditional writing backgrounds. The first Collier Scholars will be named next summer—one Collier Scholar each at the Environmental and Translators’ conferences in June and two Collier Scholars at the Bread Loaf Writer’s Conference in August.